Years ago, Litto and Ines Gomez set aside the very finest tobaccos grown on their La Canela farm in the Dominican Republic for their 1994 cigar series, which was blended to commemorate their 20 years in the cigar business. 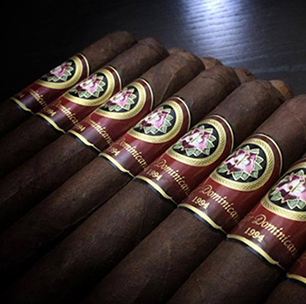 The hand-selected Dominican fillers and binder used for the 1994 blend are complemented with a dark brown, sweet, and savory Mexican San Andres wrapper. This beautifully constructed, medium- to full-bodied cigar is complex, rich, powerful, and tantalizingly full-flavored with notes of coffee, molasses, hickory, meat, cocoa, earth, citrus, and spices to name just a few. LFD's 1994 cigar perfectly symbolizes the quality and pride with which the company's reputation was built, and it is sure to be one of your more memorable cigar smoking experiences.